Companies are increasingly benefiting from customer journey analytics across marketing and customer experience, as the results are real, immediate and have a lasting effect. Customer journey analytics is a lot more than a software solution—it is a whole new approach to analytics that involves having a journey-based mindset and becoming customer-obsessed. 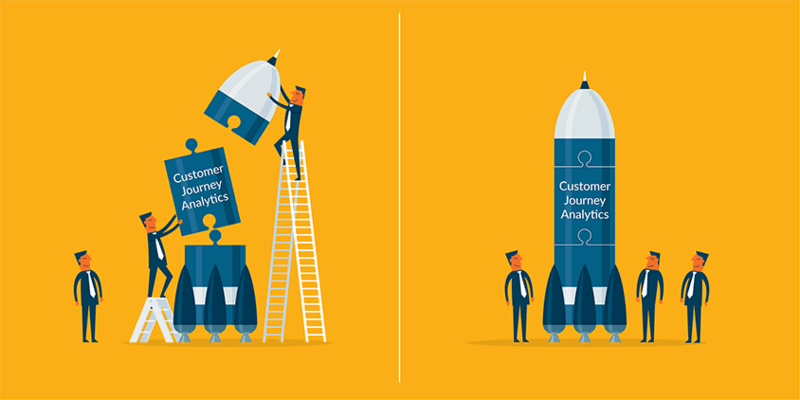 Learning how to choose the best customer journey analytics platform is just the start. The approach you take to ensure your organization will embrace a journey analytics mindset will make all the difference in the results that you get. Whether you are a potential customer journey analytics user, a champion looking to introduce it in your business or a Chief Marketing Officer about to sponsor it as a project, this post will help you create a successful implementation plan. A well-thought project implementation plan is important both to ensure your customer journey analytics platform provides the insights required by the business and so that you create the best experience for your customers by fully leveraging the customer journey analytics process and mindset. What is the Right Time to Start Planning for Customer Journey Implementation? Whether you’re just starting to evaluate an investment in a customer journey analytics platform or you’ve already made the decision and have chosen a vendor, it’s time to think about how to implement customer journey analytics in your organization. In either case, you likely have questions around what use cases to pick, how to create a project team and how to prepare your data. If so, you are not alone. Customer journey analytics is a new technology and many companies are grappling with the same questions. I will endeavor to answer these questions and help you plan your customer journey analytics implementation strategically through this two post series. Will the project be confined to a single team, such as customer experience or marketing, or will other business functions use the platform? What are the quantitative business goals that will influence the journey analytics project e.g., churn, retention, acquisition, cross-sell, upsell, purchase, rate of renewal etc.? Is your organization already aware of specific pain points and friction in your customers’ journeys? Are there specific journeys or micro-journeys that stakeholders or users are looking to understand better? Is there an analytics team in place? 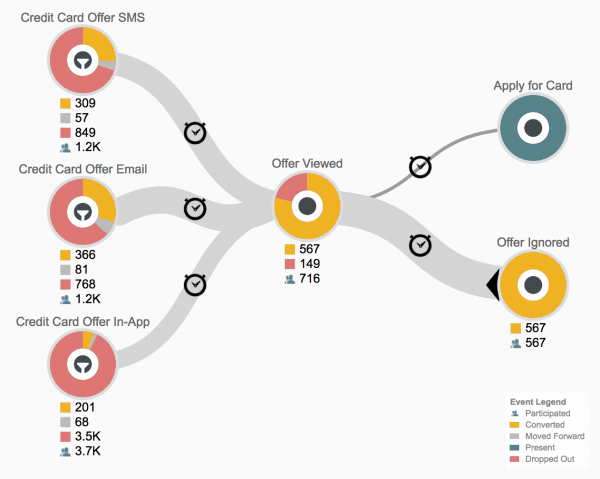 Do they track customer journeys? ‘Thinking in journeys’ is important when it comes to data integration for customer journey analytics, as explained in detail in step 4 below. Has a journey mapping exercise ever been conducted? If recent, these journey maps can provide starting points to start discovering important customer journeys. Champion – A successful customer journey analytics project starts with the right champion. It’s that simple. A Champion is necessary to make the case for journey analytics and convince others in your organization that it is the best approach to meet their goals. The Champion is typically an influential member of the marketing, customer experience or analytics team. They are usually someone viewed by others as a powerful and respected source of new ideas and approaches. The Champion may or may not be the Project Manager (if not, then make sure to recruit an experienced project manager to organize the project and keep everything on track!). In either case, the Champion usually helps recruit the rest of the project team, gets all the stakeholders onboard and facilitates the entire implementation project, so that all the goals are met. Executive Sponsor – Every successful customer journey analytics project needs an Executive Sponsor (typically Chief Marketing Officer or SVP of Customer Experience). This person is crucial in getting the initial project approved and moving it forward. He or she has both the budget and authority to approve and initiate a project of this scope and scale. Stakeholders – The Stakeholders are typically leaders of a business unit or function (such as Director of Analytics or VP of IT), whose function or unit either benefits directly from the insights generated by customer journey analytics or will be involved in implementing it. The Stakeholders lend their support to the project from planning to finish and beyond. With their influence, the adoption of customer journey analytics becomes easier in an organization. Users – This group of people should have some knowledge of analytics and be well-versed in organizational business processes. No background in data science is necessary. Ideally, they should be able to identify relevant questions about customer journeys and how engagement may enhance them. An example of this profile in the Marketing function would be a marketing analyst responsible for monitoring customer behavior and charged with engaging dynamic customer segments based on their demographic, psychographic and behavioral characteristics. Data Integration Resource – The Data Integration Resource is a subject-matter expert (SME) who understands all of the required data sources. They will be responsible for providing access to the necessary applications, channel systems, and customer databases. In most cases, this role is performed by an IT team member who has sufficient knowledge of pertinent data sources and how to access them. 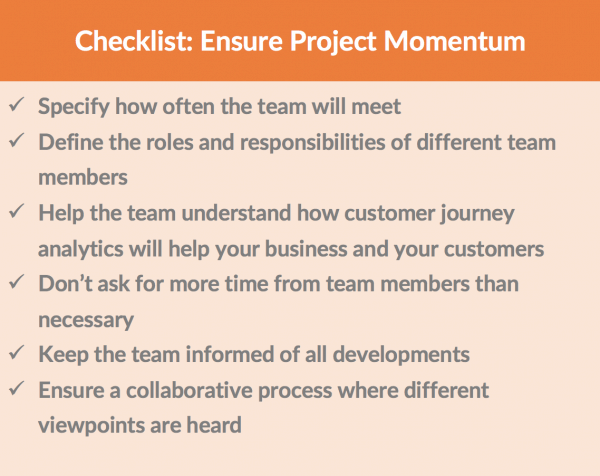 Once you have built a team and defined the scope of the project, it is important to create a sense of alignment, urgency and ownership within the members of the team. 3. Set Goals – What Will Success Look Like? At the start of any project, particularly one that involves many stakeholders and has not been tried before like customer journey analytics, it is important to set goal posts and define what success will look like. Champion – It is important for the champion to understand thoroughly the value of customer journey analytics as an analytics platform and believe that the regular users have built proficiency to use the platform meaningfully on a regular basis. 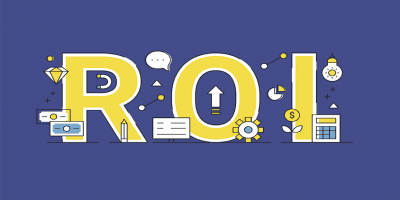 Ultimately, the biggest success metric for the Champion is to be able to show the Executive Sponsor and key Stakeholders that real business value has been gained through the use of customer journey analytics. Executive Sponsor – The Executive Sponsor will likely consider the customer journey analytics project useful if it positively impacts important business metrics (such as revenue, retention, upsell etc.) and delivers meaningful ROI. Stakeholders – The customer journey analytics deployment project will be considered a success if the Stakeholders see demonstrated value from it and believe that it will continue to generate insights that have real business value. Moreover, this business value should be applied to their specific line of business or area of interest. Users – A customer journey analytics deployment would be considered successful from a User’s perspective when it helps them to do their job better or more easily. Milestones include when a User starts thinking in terms of journeys, can discover journeys on their own, and is able to report on desired metrics within the customer journey analytics platform. Those Users that the Stakeholders trust for unvarnished feedback should have enough hands-on experience to be able to provide meaningful feedback. Project Deployment Time – An important success metric is whether the customer journey analytics project, as defined, is completed on time. Estimate project duration by speaking with the vendors you have shortlisted and any industry consultants/analysts who may be advising you. For an effective implementation, give yourself wiggle room and plan for unforeseen delays. Once completed, compare how much time you took versus originally planned. Figure out which stages took more time than you planned and determine causes for the delay. Training effectiveness – A customer journey analytics platform, no matter how easy and intuitive to use, will still require training for users not used to thinking in journeys. You will need to establish metrics for measuring the success of employee training. For instance, one success metric might be the number of users that discover a new journey or build a journey dashboard in a customer journey analytics platform on their own within a certain number of days after training. Data integration is the backbone on which a successful implementation rests. 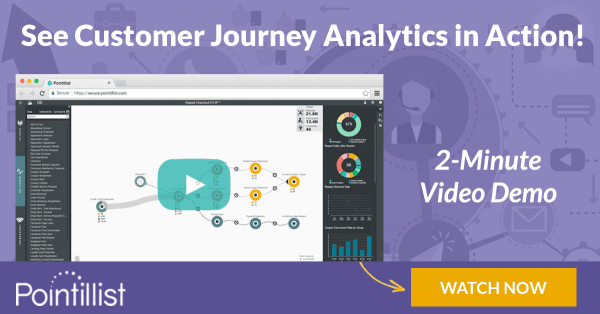 It can make or break your customer journey analytics project. 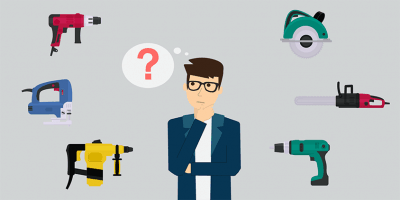 Before we get into the details of how to plan for a smooth and successful data integration, it is helpful to understand the basics behind it. Whether you’re working with a consulting firm, agency or the vendor’s customer success team for implementation, it is important to understand and determine the customer data sources that you want integrated into the journey analytics platform in order to get the insights required. The fundamental data type for customer journey analytics is the event. Regardless of how you might think of data today, in customer journey analytics everything is an event. An event-based approach captures every addition or change to customer data that occurs, whether from a customer interaction, an employee action, an automated workflow process, etc. Treating every change to customer data as an event saves work for data engineers, as no transformation is required. Interactions initiated by the customer at a touchpoint, e.g. Interactions initiated by your company to communicate with a customer, e.g. Internal actions not necessarily seen by the customer, which nonetheless influence the customer experience, e.g. Snapshots of data captured by your company – typically descriptive of the customer, e.g. Most data, no matter what form it is in today, can be readily transformed into one of these 4 types of events. Event Type: A short description, typically 1-3 words, describing the nature of the event. Customer Identifier: Any information which can be used to identify an individual customer. Event Time: The time that the event took place. This illustration shows how using a variety of customer identifiers helps to create unified customer profiles. This process of unifying customer profiles is known as ‘identity matching’, it brings together individual customer identifiers collected on an individual and recognizes that it refers to the same customer. Is My Data Ready for Integration? The most frequent concern when preparing to embark on a customer journey analytics project is how long it will take you to get your data in the right shape. The answer may surprise you. Your data may be ready right now—without any additional preparation—depending on the customer journey analytics platform you choose. If efficient data integration is important to you, make sure to evaluate whether your journey analytics platform accepts data in all formats and does not require you to perform aggregations, schema mapping or any others data transformations before passing on the data. Raw data can be sent directly to Pointillist without requiring aggregations or roll-ups of any kind. Pointillist can handle data in all forms, whether it is in tables, excel files, server logs, or 3rd party APIs. Batch Upload: Pointillist provides an SFTP endpoint unique to your company. Data in any format may be uploaded to this endpoint. During onboarding, the data will remain on your Pointillist-hosted SFTP server until the customer success team has created and quality-checked the requisite ingestion script. This process typically takes 1-2 days. 3rd Party APIs: Pointillist has a large number of connectors using 3rd party APIs. Depending on the level of customization, 3rd party APIs can be used to integrate your data in anywhere from a few days to a week or two. Pointillist Web Tag and Mobile SDK: Pointillist’s journey tracking tools can be readily instrumented on your website and in mobile apps for any platform. Even in cases where you have existing tracking tools in place for these channels (e.g. 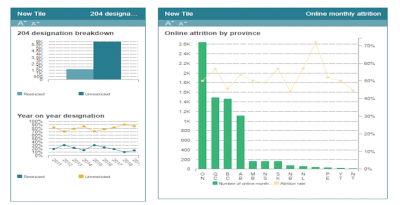 Google Analytics or Adobe Analytics), deploying Pointillist can aid in cross-channel customer tracking. Rigorous checks at each stage of ingestion – From the initial check of raw data to the completed ingestion of data into the customer journey analytics platform, the service provider should complete a thorough set of standardized checks every step of the way. Comparison with Benchmark KPIs – A world-class service provider will ask you to provide benchmark KPIs for any dataset where accuracy is especially critical. The analytics results produced by the customer journey platform should be measured against these KPIs. Changeable data – The customer journey analytics platform you choose should allow data to be readily updated. 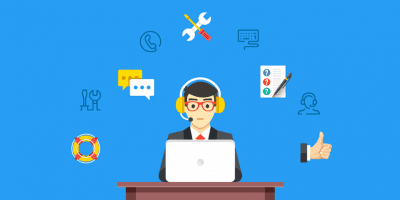 Any issues that are identified may be remedied on an ongoing basis according to urgency and the availability of improved source data. Monitoring and automated alerts for substantial data deviations – The service provider should ideally employ an automated monitoring and alert system to inform you of substantial deviations in data – such as missing time coverage or interruption of 3rd party data streams. It is important to identify a use case that addresses the most significant pain points being faced by your business. 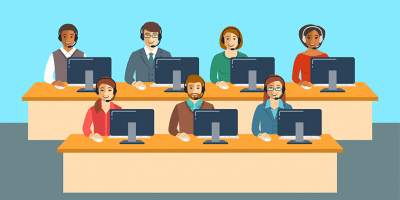 At the same time, be mindful that you are addressing the problems being faced by all the stakeholders involved in the customer journey analytics project. 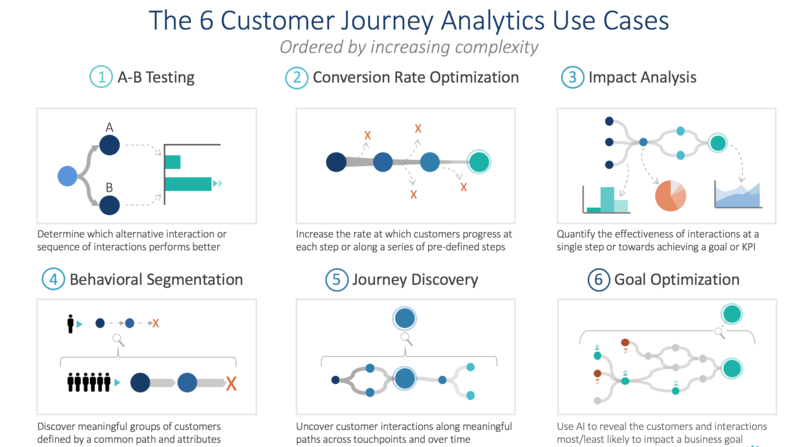 To help you pick the best use cases for your initial implementation, here is a framework that describes six types of customer journey analytics use cases in order of increasing complexity. Most business problems that you want to solve or questions that you want to ask would fit in one of these six types. 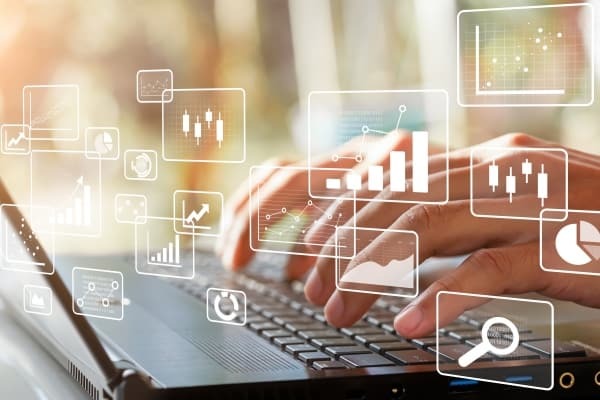 Customer journey analytics is worth all the time, effort and resources you invest in it, but to get its full potential you have to integrate it seamlessly within your organization. This integration goes far beyond technology and data and involves your people and culture. Customer journey analytics is a discipline, not a technology, and to truly reap its benefits, you need to build organizational readiness. It’s likely that multiple departments and teams will be affected by the results of customer journey analytics, so it’s important that they understand and support the initiative. This is where the support and influence of your stakeholders will come in very handy as their enthusiasm will rub off on other employees. Company culture is a set of shared values throughout the organization and you can influence it over time by instilling a journey-based mindset throughout your organization. Articulate the importance of focusing on end-to-end customer journeys as opposed to single touchpoint interactions. Appreciate that this is a long-term effort and while some early adopters will be immediately enthusiastic, others may take longer. As you start seeing results from customer journey analytics, share the insights with others who can benefit from them. Compile a repository of important customer journeys, their key drivers and the metrics related to them. As you share this information across the organization, you will build adoption and organizational readiness for customer journey analytics. Training is a critical piece of making sure your organization is ready to successfully implement customer journey analytics. To ensure adoption and usage of your new customer journey analytics platform, make sure the users are properly trained. Training is most successful when conducted in-person but if that is not an option, a live webinar would work too. Groups of 2 to 5 users are ideal so the trainer can provide personal attention to each user. Be sure to map out your training plan with the vendor in advance, keeping in mind the schedule of your users. In addition to the initial training, also plan for some ongoing training in case your users encounter some difficulty. Large enterprises typically have a central governance team in place that is responsible for setting project quality standards, fostering communications and sharing best practices. The governance board is responsible for increasing the success rate of customer journey analytics projects undertaken by the organization, while at the same time taking into account the risks involved. The Executive Sponsor is usually the point person accountable to the governance team although the champion may be involved in keeping the governance team updated on project progress at regular, predetermined intervals. 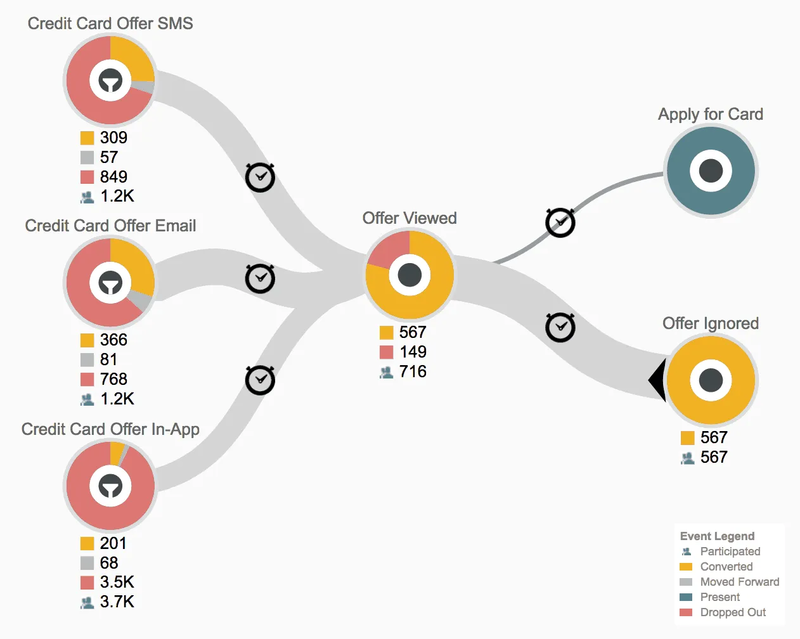 Customer journey analytics is a new approach to analytics—not just a software platform. As such, adopting and implementing it within your organization is an important investment. The steps detailed above give you the framework to plan and start your customer journey analytics implementation. Stay tuned for the second part of this post for a complete guide to successfully implementing customer journey analytics within your organization.